2013 MINI Cooper S Base Awards: * JD Power Dependability Study * 2013 KBB.com Brand Image Awards Reviews: * The Mini Cooper Roadster has managed to capture the sassy, built-for-fun nature of the Mini Cooper Convertible and condensed it even further. Though it's front-wheel drive, the Roadster is a an ace in the corners. Source: KBB.com * Sharp handling; distinctive exterior styling; great fuel economy; highly customizable; slightly more cargo capacity than the Mini convertible. Source: Edmunds At SMH Auto Sales we provide transparent on the road pricing right on our website! No hidden fees, no games!! Just 100 percent transparency and excellent customer service!!! Enjoy our 3 month 4,500 mile warranty on every eligible vehicle. Financing with rates as low as 2.99 percent! Bad Credit, No Problem!!! We have financing for everyone. If you are purchasing a car the registration fee advertised will be reduced by $52!! These On The Road Prices are for Maryland Residents ONLY!! Out of state customers will pay their respective states Tax, Tag, Title, and Registration. 2014 Ford Mustang V6 ABS brakes, Alloy wheels, Compass, Electronic Stability Control, Illuminated entry, Low tire pressure warning, Remote keyless entry, Traction control. Priced below KBB Fair Purchase Price! Awards: * 2014 KBB.com 10 Coolest New Cars Under $25,000 * 2014 KBB.com 5-Year Cost to Own Awards * 2014 KBB.com Brand Image Awards At SMH Auto Sales we provide transparent on the road pricing right on our website! No hidden fees, no games!! Just 100 percent transparency and excellent customer service!!! Enjoy our 3 month 4,500 mile warranty on every eligible vehicle. Financing with rates as low as 2.99 percent! Bad Credit, No Problem!!! We have financing for everyone. If you are purchasing a car the registration fee advertised will be reduced by $52!! These On The Road Prices are for Maryland Residents ONLY!! Out of state customers will pay their respective states Tax, Tag, Title, and Registration. Recent Arrival! 2002 Ford Thunderbird Base CONVERTIBLE, RED AND BLACK LEATHER INTERIOR!! 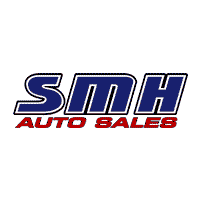 At SMH Auto Sales we provide transparent on the road pricing right on our website! No hidden fees, no games!! Just 100 percent transparency and excellent customer service!!! Enjoy our 3 month 4,500 mile warranty on every eligible vehicle. Financing with rates as low as 2.99 percent! Bad Credit, No Problem!!! We have financing for everyone. If you are purchasing a car the registration fee advertised will be reduced by $52!! These On The Road Prices are for Maryland Residents ONLY!! Out of state customers will pay their respective states Tax, Tag, Title, and Registration.